MGCOOL is Elephone’s newly-established sub-brand covering intelligent wearables & mobile electronics. From now on Elephone cameras will be branded MGCOOL. The ELEcam 360 is now called MGCOOL Cam360. Elephone ELEcam 360 holds 4 MP Omnivision OV4689 sensors – known from the EKEN H9 camera. The camera features a Sunplus 6350M chips, again same one as used in the EKEN H9. You’ve only got one selection, which is 1920 x 960 with 30fps. This is a 2:1 resolution and might seem a bit strange, but take a look at my workflow tutorial below. videos are recorded in .mov format and .h264 codec. Max. photo resolution is 3008 x 1504 pixels, about 4MP, same as the sensor. 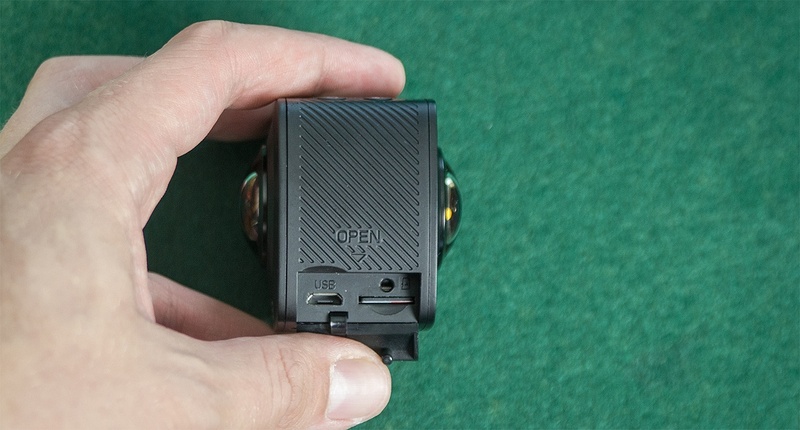 The image is not scaled up as many other action cams like to do it. Elephone ELEcam 360 features a data display to check settings, no live view display. 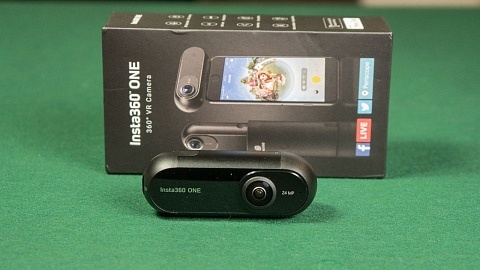 But that wouldn’t make sense anyway, as live view on your smartphone & within the app simulates the 360° video. Elephone ELEcam 360 holds a built-in 1500 mAh battery. On the downside, you can’t change the battery, which I guess is due to the form factor. Hence 1500 mAh seems a lot compared to most other action cameras. microSD card support for cards up to 32GB; Class 10 recommended. I guess some 64GB might also work. As Elephone als distributes microSD cards (looking a lot like SanDisk cards), they might be included. 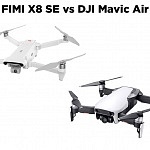 There’s a 32GB card included in the Gearbest offer. The camera holds a microUSB port, not sure if A/V out and Mic-in via USB are possible. On the bottom of the camera is a 1/4″ tripod thread for mounting. 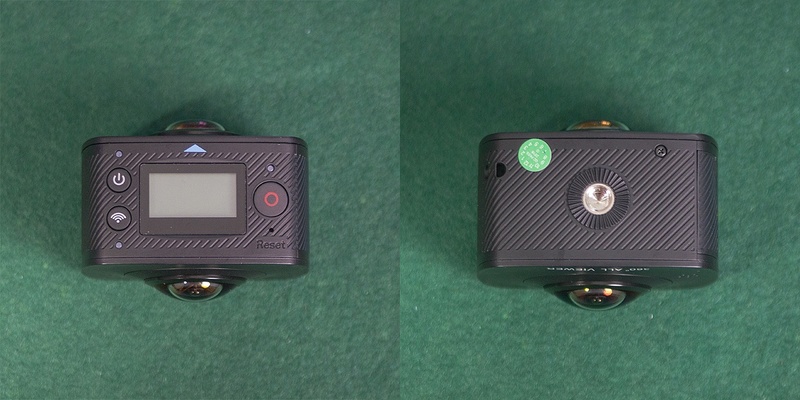 On top of the camera you will find the Power/Mode button, wifi button and Shutter Button. There are 3 small LED lights, the blue light above the power button is on when charging; a red LED below the wifi button is lit when wifi is enabled. Above the Shutter button is a red recording LED and below is a reset button. 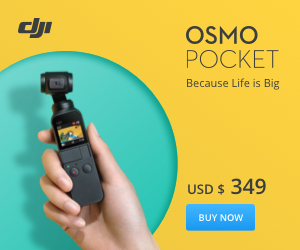 This one is needed, because if the camera freezes, you can’t take out the battery, as it is built in. The data LCD screen displays a camera icon, when in video mode and the available recording time on the inserted microSD card. When you short-press the power/mode button you switch to photo mode, which is indicated by a folder with the letter P. The number below is a countdown how many photos you can store on the card. On the bottom of the camera there is a standard 1/4″ tripod thread. All accessories have a GoPro mount and a tripod adapter on top. That’s a nice solution. MicroSD card slot & micro USB port are behind a flat on the side of the camera. On top of the camera you will find this blue mark . This side holds the speaker and is the “backside” when you upload it on YouTube. 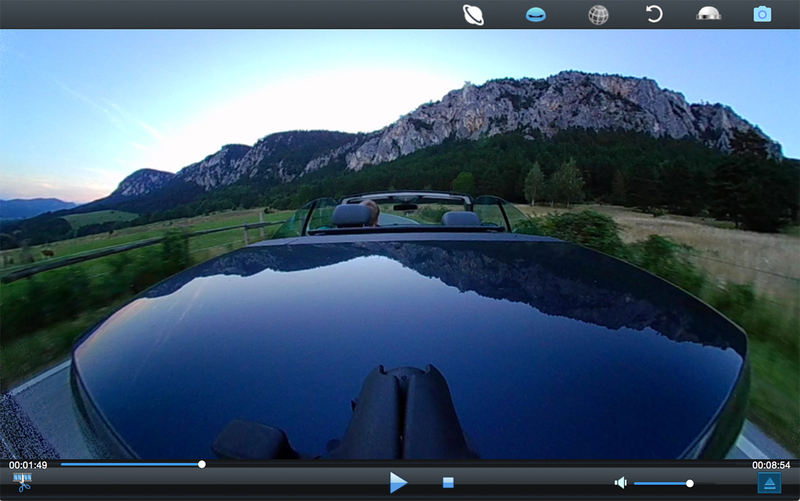 On this side the video is stitched – more on that later. The unmarked side holds the microphone and will be seen when you start the video on YouTube. Press the wifi key on the camera to activate wifi. 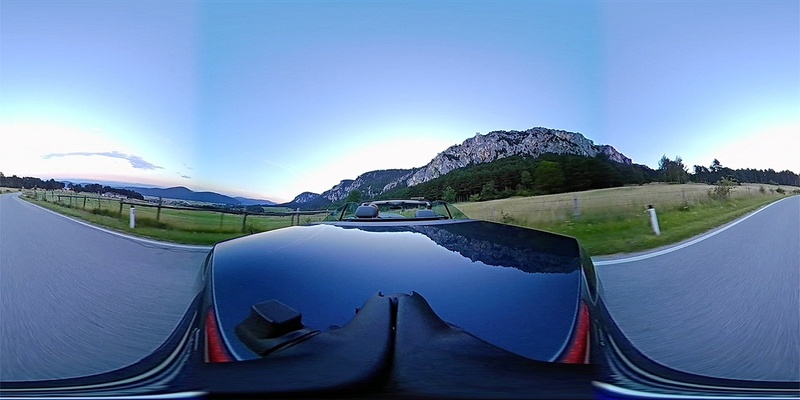 Open up the “EleCam 360” app (available for iOS & Android) on you smartphone. Look for the wifi: “EleCam 360_xxxxxx”. The camera has only 2 main modes – photo & video – which can be switched with the power/mode button as described above. Off / 1 min / 3 min / 5 min – when selecting a time the camera enter power saving mode after respective time and the display will turn off. You can set date & time, to display it in the video (time stamp) is done in another setting. English is the standard selection, optional there are: Chinese, French, Spanish, Italian, Portuguese, German, Polish & Russian. You have the option to display date or date & time in your video. here you can check your firmware version as well as capacity & available space on your microSD card. to format the microSD card. How do you get to a 360° Facebook or YouTube video? 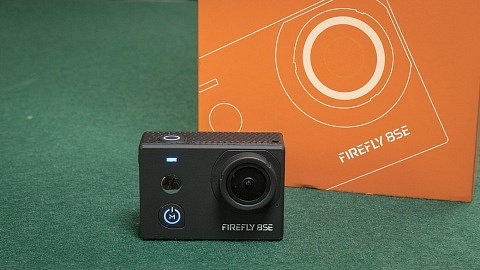 First you have to convert the video from the dual spherical (fisheye) video to a equirectangular video. On top of the screen you have several options to display and play the video. The next step is important: To convert the video click on the edit icon on the bottom left. (Don’t go to the menu and click save as – it will not convert the video). Remember the blue mark I mentioned earlier ? The blue mark indicates where the video is stitched, NOT the center of the video. So in the example above the blue mark was pointing away from the car. the unmarked side was facing the car! When you import your video in a standard editing software it will look like the picture above. Be sure to set the timeline to the same dimension as the video. After editing and rendering, the video will not include 360° meta data information anymore. You have to add them before uploading the video to YouTube or Facebook. The software is for free and available for Mac and Windows. Just import the video and save it – it just takes some seconds. Now YouTube will recognize it as 360° video and display it correctly. 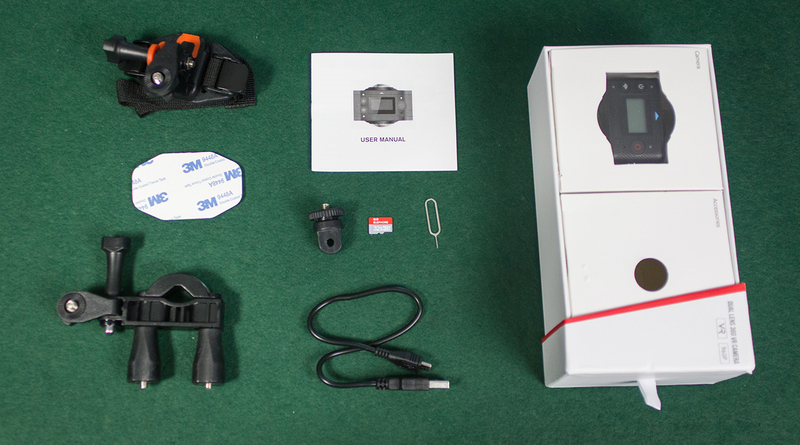 ELEcam 360 is a small, compact solution. 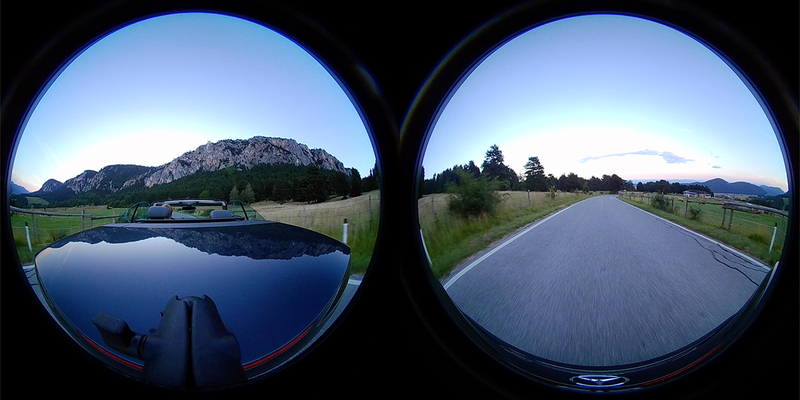 No need of a rig of several cameras to create a 360° video. 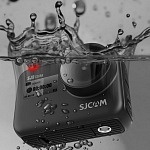 Therefore it is easy to mount and can be used in tough conditions with it’s waterproof case. Resolution – 1920 x 960 is not even HD, and you would need a lot more than that. 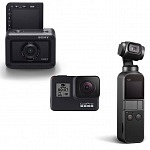 Compare it to a rig of 6 GoPros or YI 4Ks recording 4K each and combine it to a 360° video. Battery – It is built in, so you can’t change it. 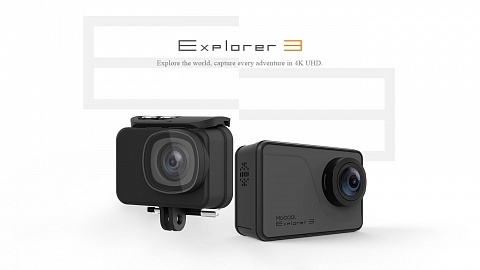 In contrast it has 1500 mAh capacity which is more than most other action cameras. I don’t know if the built in solution is due to it’s form factor to accommodate two lenses. You could mount a power bank below which – when a slim one – won’t be visible. I noticed that the video sometimes freezes for some frames which is annoying. I used the camera with the included Elephone 32GB microSD card. Maybe it is a SD card related issue, maybe it is the camera itself. I have to do more testing. Software / App – Professional Stitching Software costs several hundreds of Dollars, so it’s a plus that you can get a good working software & app for free, which processes the video ready for upload. Due to the different form factors and array of the lenses, you can’t use other free software made for specific cameras. 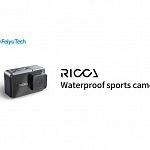 Ricoh’s Theta is just working with their camera; You can’t even open files from another camera in Kodak’s SP360 Software. 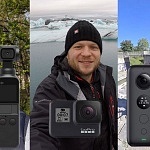 Price – Compared to a rig of 6 cameras, or other competitors like Samsung and probably Nikon (not announced yet), Elephone ELEcam 360 is a bargain. So if you want to play around, watch the videos on your phone and upload them to Facebook, the Elephone ELEcam 360 is fine. You can get used to the trend and practice, as shooting / mount is very different! You can’t hide behind a camera . 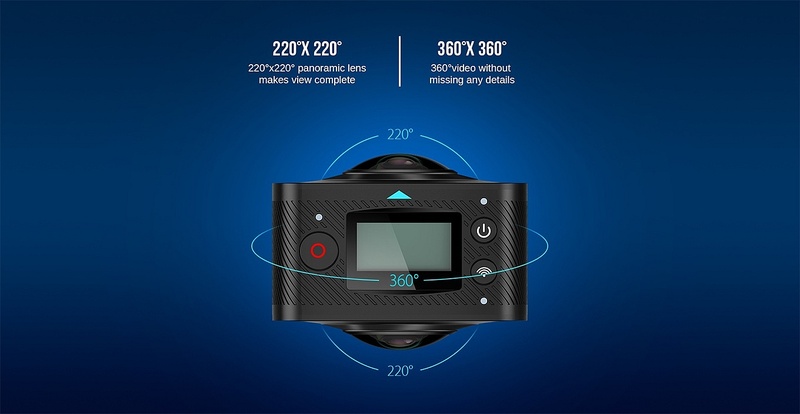 If you are looking for a professional 360° video solution, you won’t be happy with this camera. But you also won’t find one for a price like this.